A UK passport allows its holder to visit 173 countries without a visa—that’s more visa-free travel than offered by any other passport. 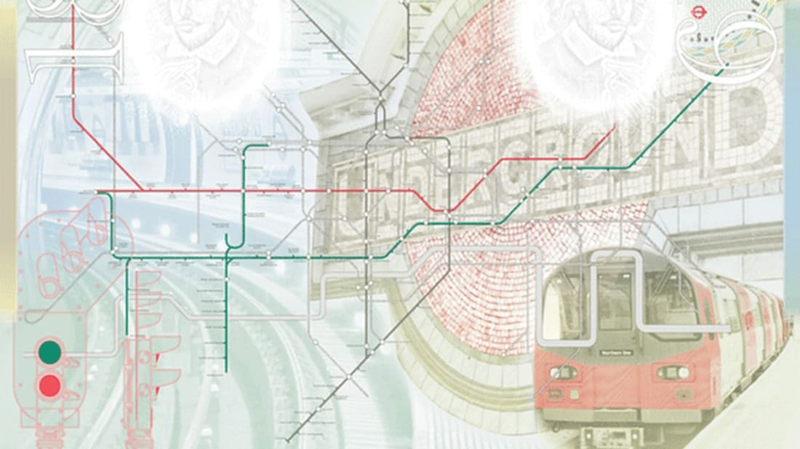 To ensure the document is as secure as it is valuable, the British government launches a new passport design every five years. The latest edition, titled Creative United Kingdom, includes icons of British arts and culture from throughout the nation’s history. Some of the featured historical figures include painter John Constable, mathematician Charles Babbage, and architect Elisabeth Scott. The London Eye, the Globe Theater, and the London Underground also make appearances. The passport utilizes many familiar security features in the updated version, such as watermarks (in this case modeled after William Shakespeare). One never-before-seen security measure is the construction of the personal details page. In the latest edition, they’ve used one continuous sheet of laminated paper that connects to the back cover, and which causes irreparable damage to the passport if tampered with. The passport has already been met with some backlash due to the fact that only two of the historical figures featured are women. The authorities have also received criticism for including the Titanic Belfast Museum and the ArcelorMittal Orbit, which are considered two of the more hideous structures built in recent British history. Luckily, anyone who’s not a fan of this version only has a few years to wait before they release a new one.